Monday night will be dry and chilly, with largely clear skies and perhaps a few shallow mist patches. Tuesday will remain fine and dry with light winds, sunny periods and perhaps a little patchy cloud from time to time. Guernsey's government will have a say in who becomes Condor Ferries' new owner, a senior politician has claimed. The ferry company is currently for sale, but a report being put before island politicians has suggested Condor hadno obligation to consult Jersey or Guernsey on the sale. Jersey does, however, have an agreement with Condor which stipulates any new owner is "fit and proper". 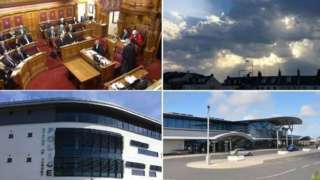 "Veto is probably the wrong word, but the governments of Jersey and Guernsey have to agree to the appropriateness of the new owners," Deputy Lyndon Trott said. The chances of that new owner being inappropriate was "remote" as it would operate under the current management team and executives, Deputy Trott added. "Even, for instance, if there was an announcement tomorrow that a successful buyer had been secured, it would be some time before the keys to the vessels were handed over." Guernsey politicians will be asked to approve a £400,000 contingency plan for the island's sea links at a later date. The plan includes investigating whether other ferry operators will take on the Guernsey routes, and whether a stand-alone ferry service could be established. A terminally-ill Jersey mother diagnosed with a rare form of cancer has died. Thirty-six-year-old Laura Cafferty was diagnosed with Leiomyosarcoma - which develops in muscle tissue - two years ago. Friends raised more than £76,000 for private treatment to extend her life. The mother-of-one said she wanted to live so her baby daughter would remember her. Her death was confirmed on her Facebook page, where hundreds of people have paid tribute. A lack of funding is bringing Highlands College to "a tipping point", its principal has said, at a time when other schools and institutions are also discussing funding issues with a scrutiny panel reviewing post-16 education in the island. Adult bus fares in Jersey are going up from April, but not if people pay by contactless card. Cash fares for adult passengers will increase by 10p, to £2.30, but students and children paying with cash will not see an increase. The price per journey for all customers with Avanchi cards is also due also go up by 5p, while contactless tickets would continue to cost £2, operators said. Drivers in Guernsey are being reminded that vehicles registered on the island will have to comply with the Vienna Convention. This will be ratified on Friday - despite Brexit being delayed from 29 March - although most vehicles won't need any modifications. The Vienna Convention relates to motor vehicles and trailers, and Highway Services officials are reassuring owners that most modern, roadworthy vehicles already comply. A key exception is mirrors - the convention insists that all vehicles aside from motorbikes have at least two rear view mirrors, whereas the law currently stipulates one. Silencers must also be fitted and be in good working order, and the same goes for speedometers. These will apply across the board to any vehicle capable of being driven at more than 25mph - aside from some farm machinery. A Jersey family had to leave their home this weekend after a magnifying glass left on a windowsill caught the sun's rays and set fire to the curtains. The fire alarm alerted people who managed to put out some of the fire on the carpet before evacuating the house. Firemen arrived and put out the rest of the fire with a hose. Officers said that fires can easily be started by strong sunlight coming through glass or even onto mirrors. The Guernsey Marathon will not be taking place this year. The event was relaunched in 2009 after a 17-year break, but organiser Peter Head said the financial implications were becoming too difficult to manage. However, a running group called distance.gg is looking to partner with Jersey's marathon organisers to setup a new event in Guernsey for 2020. Michael Quittenden said the partnership could help to overcome some of the "financial barriers". It will be "very difficult" to decide how to make sure Jersey can pay for old age pensions and medical care in the years to come, according to the social security minister. A new report claims that, if Jersey workers continue to contribute the same amount as they do now, then the pension pot could run out completely in less than 50 years. It argued that the answer would either be to raise people's contributions, or allow more workers to come into the island to pay tax. Deputy Judy Martin said deciding what to do will be like "trying to square a circle" and the States would have to make some important decisions. Jersey Reds boss Harvey Biljon says he is frustrated by his side's last-gasp 10-7 loss at home to struggling Hartpury in the Championship. Jerry Sexton's try gave Jersey a seventh-minute lead, but the visitors were level two minutes later when Simon Linsell crossed before Sam Leeming's penalty at the end of a scoreless second half saw the Championship's bottom side record a fifth win of the season. Jersey remain third in the table, but are now level on points with fourth-placed Bedford after they beat Cornish Pirates. 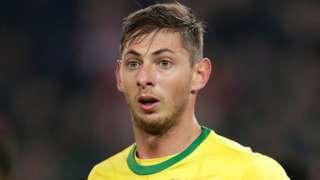 "There were too many inaccuracies in that first half when were in positions to take scores and we didn't take them," Biljon told BBC Radio Jersey. "Then you've got to give Hartpury some credit, they definitely came here playing for survival and they deserved their victory. "I am frustrated with the way the game was played, but also officiated, that is something that I've got to try and work out and I don't know how yet. "There's not a lot we can do about it now, but let's quickly focus on Richmond next week." A cannabis cultivation site requires a 2.4m-high security chain-link fence around its entire perimeter, a planning application has revealed. Headteachers could have been provided with more time to respond to new behaviour policies, according to the president of the education committee. Deputy Matt Fallaize was speaking after being asked a series of formal questions by Deputy Lester Queripel, who has queried the Committee for Education, Sport and Culture's (ESC) communication on the policies. Deputy Queripel asked the questions after Chris Keates, the general secretary of the NASUWT union, expressed concerns with the communication between ESC, teachers and the unions on making the decisions to change behaviour and attainment policy. Deputy Fallaize says there was "extensive consultation" with the teaching profession on the changes but he admitted headteachers should have had more time to respond to the policies when they were in draft form. The committee also said it would improve levels of communication and will make improvements where necessary. ESC said the behaviour policies had been launched in anticipation that secondary schools would be preparing to meet the needs of a wider ability range in September, with the two-school model proposal still to be debated by the States in June. A massive hoard of 70,000 coins found in Jersey was split purposefully into two sections, according to researchers. One part of the hoard - discovered by metal detectorists Reg Mead and Richard Miles in 2012 - contains all of the early coins. This part of the hoard has been attributed to the Coriosolitae tribe which was centred around Corseul, an area near Dinan in northern Brittany. The other half of the hoard contains a large mass of silver coins which are of "lower quality" and manufactured at a later date. There is a notable absence of gold coinage or jewellery. This part of the hoard contains many coins with manufacturing errors, and would not have passed quality testing during the minting process. Experts from Jersey Heritage removed the coins - thought to be from around 30 to 50 BC - one by one from a field in Grouville for three years. Known as Catillon II, the Iron Age coin hoard is about six times bigger than any other Celtic hoard found in the world. The financial controller of a firm that sold an unlicensed blood product has been handed a suspended sentence. Peter Dawson-Ball, 65, previously of St Martin, Guernsey, had pleaded not guilty to three charges of money laundering but was found guilty at Guernsey's Royal Court last month. On Friday, he was sentenced to 180 hours' community service, and 15 months in prison, suspended for two years. Dawson-Ball worked for David Noakes, who was jailed in November for manufacturing, supplying and selling unlicensed blood product GcMAF. He was responsible for the firm's banking, tax and corporate structure. Another former Immuno Biotech employee, Samanta MacPane, 32, pleaded guilty to one count of money laundering and was sentenced to nine months in prison, suspended for two years. After being diagnosed with cancerous cells in her cervix, Jess Simon had to wait seven months before a follow-up treatment appointment was made. 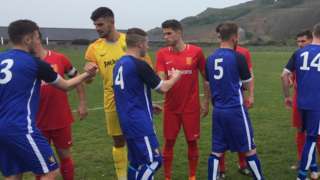 Jersey boss Martin Cassidy says he is happy his side came away from Alderney with a 2-0 win in the Muratti semi-final. Traffic and Highway Services has confirmed that EU motorists will not have to pay to drive in Guernsey in the future. It comes following questions from former Deputy Ron Le Moignan, who is concerned with the extensive paperwork which has to be completed for Guernsey motorists to be able to drive in EU countries following the ratification of the Vienna Convention. Mr Le Moignan said the process was too complicated and he wanted clarity. Traffic and Highway Services said EU motorists would not have to pay to drive in Guernsey because it agreed not to charge foreign motorists when it signed the Geneva Convention and this has continued with the Vienna Convention. However, this may change in the future, officials added.